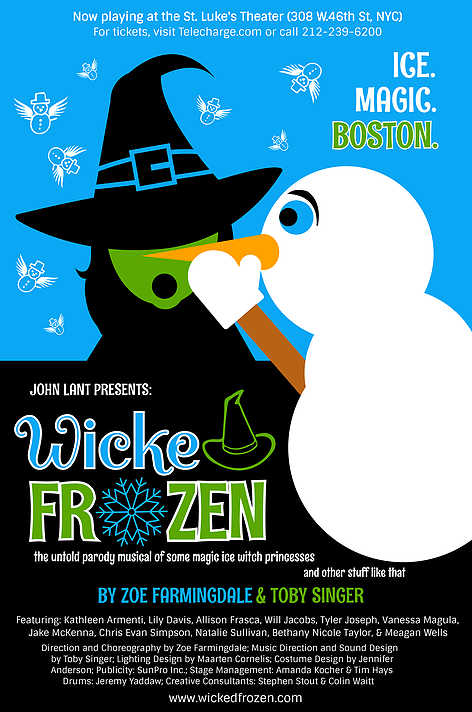 Wicked Frozen is a high-energy grown-up parody mash-up of Wicked and Frozen, both celebrating and skewering these two wildly successful pop culture phenomenons. 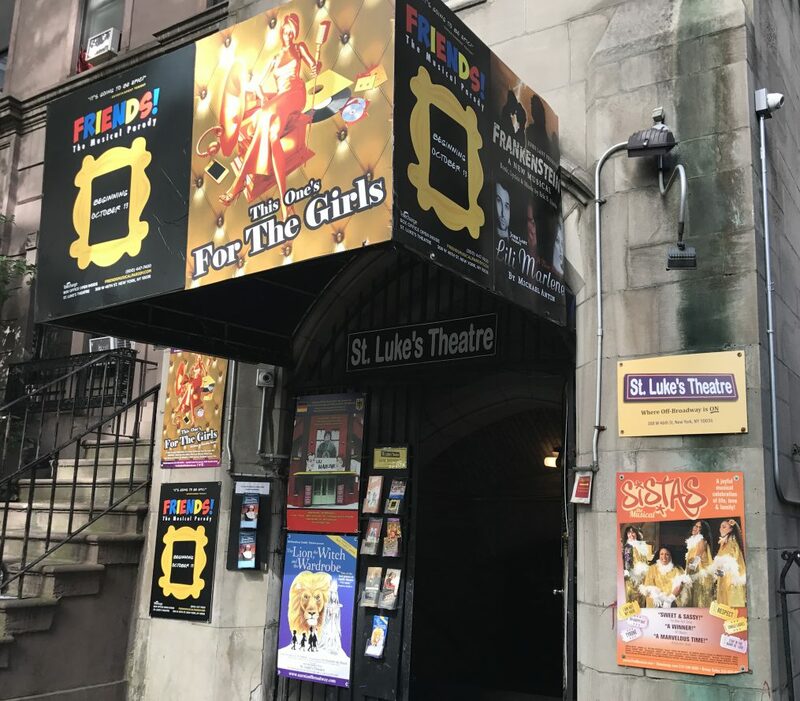 When Adele Dazeem and her teacher Kristen Chenobell become trapped in a Boston classroom during a freak blizzard, things take a turn for the absurd, as Adele sets off on a journey through the magical land of Scandinorfindelle. Wicked Frozen is not only a subversive satire on six cups of coffee, but also a reminder that even when things may only ‘be okay,’ it’s the people around us that truly matter. Kathleen Armenti, Lily Davis, Allison Frasca, Wills Jacobs, Tyler Joseph, Vanessa Magula, Jake McKenna, Chris Evan Simpson, Natalie Sullivan, Bethany Nicole Taylor, and Meagan Wells. Publicity / Marketing: Stephen Sunderlin – Sunpro Inc.